VeriCite DocumentationUser GuidesSakai User Guide Instructor ArticlesHow do I add a VeriCite assignment? VeriCite is a plagiarism detection service which is integrated with Sakai. Instructors can add VeriCite plagiarism checking to any assignment created within the Assignments tool by following the steps below. Select the Assignment tool from the Tool Menu of your site. Create the assignment as normal. You may allow in-line submissions, file attachments, or both for student submissions, depending on your preference. Note: Be sure to set the Grade Scale to Points and enter a maximum point value for the assignment. 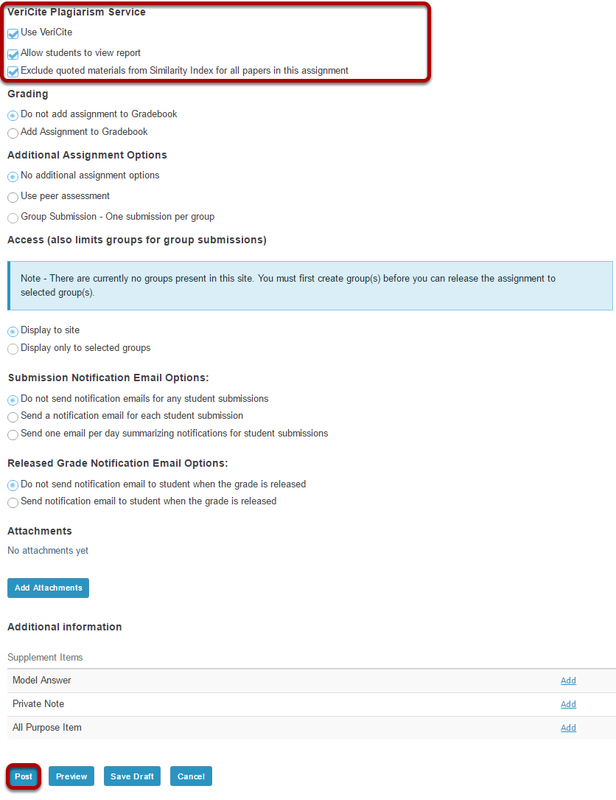 If VeriCite is installed on your instance of Sakai, you will see a VeriCite Plagiarism Service option in the assignment settings, just below the Honor Pledge. Check the box next to VeriCite Plagiarism Service to enable VeriCite for this assignment. Optionally, if you use the service, you may also check the box to Allow students to view report. Check the box next to Exclude quoted materials from Similarity Index for all papers in this assignment to make it the default setting for all reports for this assignment. It is recommended that you set this as the default in order to lower the number of false positives. You will still be able to toggle between excluding and including quotes inside each individual report. 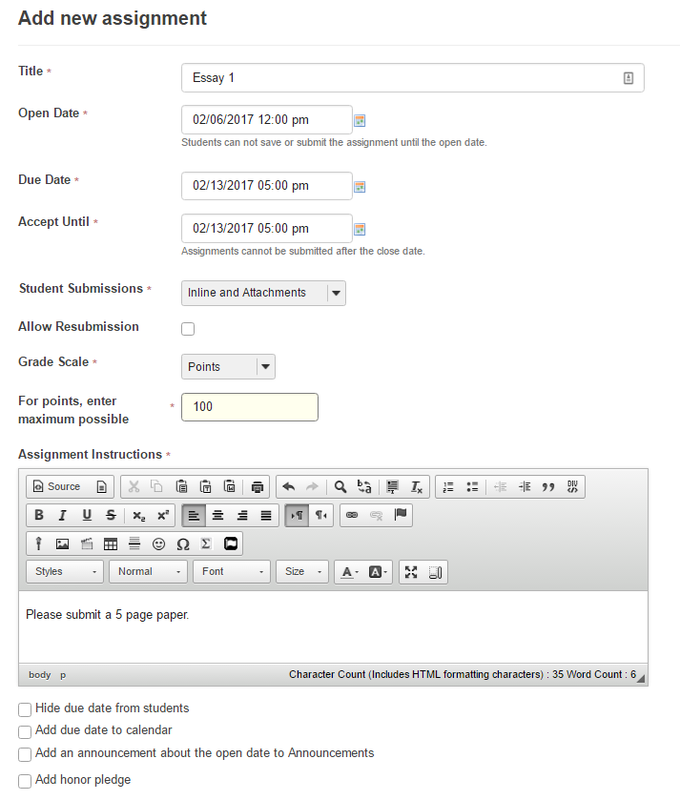 Click Post to save your settings and make the assignment available to students. Assignments using VeriCite will be indicated with a red ribbon icon. Zoom: Assignments using VeriCite will be indicated with a red ribbon icon. Next: How do I view VeriCite reports for student submissions?